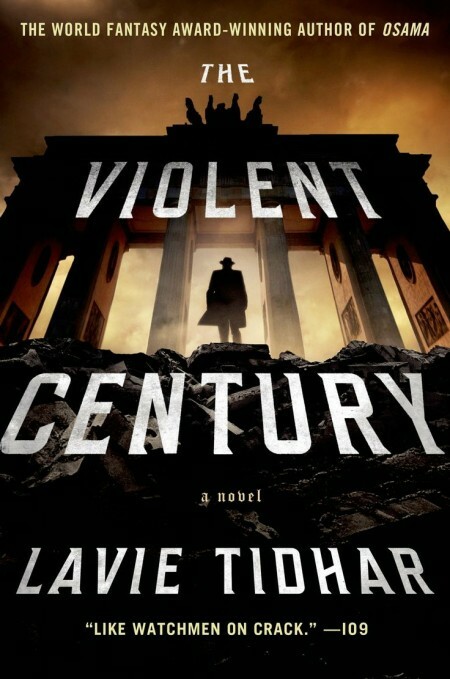 The question “What makes a hero?” has plagued comic book writers for the best part of a century now so it seems appropriate that Lavie Tidhar’s latest novel The Violent Century takes place over roughly the same time period. Starting in the modern day The Violent Century introduces readers to the Ubermensch; A group of people granted superpowers, and immortality, by “The Change”, an event that occurs in 1932. The main focus is on two British metahumans in particular, the appropriately named Fogg and his former colleague and friend Oblivion. Called in one night by their former boss the Old Man to tie up a final loose end in a previously closed case Fogg and Oblivion recount their stories. From here the book reaches back across the decades jumping from one time period to the next peeling away the layers of the plot to reveal Tidhar’s grand design – Something that says as much about the Twentieth Century as it does the true nature of heroes and the effect that being truly immortal has on these characters. The Old Man tilts his head. Regards Fogg like a question. -What are you going to do to me? -I’m here to take you to a special school for special people. People like you. Where you will be happy, the Old Man says. Fogg wanting to believe. Hope in his eyes. How easily it’s taken away. But wants it to be true, so badly it hurts. Says, Really? -Of course not, boy, the Old Man says. Don’t be so bloody stupid. I’m here to give you a job. Tidhar’s wry sense of humour provides a good counterbalance to the novel’s grittier aspects. His commentary on the comic book medium also extends to the way the Ubermensch of each nation are presented. The Americans dress in loud garish costumes and are effectively a walking PR campaign for the war, while the German Ubermensch head up death squads hunting down others of their kind for experimentation in the concentration camps. Fogg and Oblivion meanwhile are super powered spies, told only to observe and remain in the background. Tidhar is all too aware however that there is no point in people having superpowers if they don’t do something ridiculously cool with them every now and then. When the action does happen Tidhar’s prose explodes into glorious technicolour set-pieces as his Ubermensch find increasingly interesting ways to use their powers. As good as the action in this book is though the true heart of The Violent Century beats in its characters. While Fogg is more often than not the central focus of this novel it is through the eyes of his colleague Oblivion that the book’s real power shines through. Granted the ability to reduce anything to a molecular level Oblivion’s power has no purpose other than de(con)struction. As the years go by we see his sense of self erode away quietly inside of him while outwardly he remains the same. It’s a wonderful, well written idea that lends a sense of gravitas to the story while making sure it retains a sense of heartfelt humanity that brings the story back round to its core question: What makes a hero? In times gone by people have speculated that Super Heroes are created to be representations of ourselves and what we, as people, aspire to be. Tidhar’s uses his own super powered beings as a representation of what we, as people, actually are and the effect that decades of endless conflict have had on us as a whole. Throughout the book Fogg often mutters “This Bloody War”. At first you think he is just talking about World War II, but as the years go by and Fogg says it more often you realise he is talking about the never ending conflict that has been going on ever since. As people we don’t often see what effect that war has had on the human race as a whole. Outwardly we seem, for the most part, unchanged but the effect it is having on us on the inside is another matter. While at first this might seem like a particularly bleak outlook Tidhar uses it to turn things around and in answering the question of what makes a hero ends the novel on a note of optimism, offering hope not just for his characters but maybe for the human race as well. 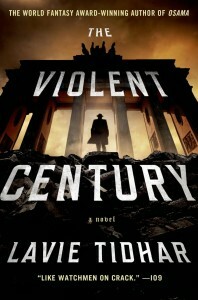 In closing The Violent Century is a fantastic novel that is as gripping and exhilarating as it is intelligent and thoughtful. I cannot recommend it highly enough.